The LifePoint Duo is the perfect solution for a 2 person fall protection when circumstances require non-penetrating versatility. LifePoint provides the answer with an easy to set up and quick-move solution. **Due to continuous improvement, specifications are subject to change without notice. 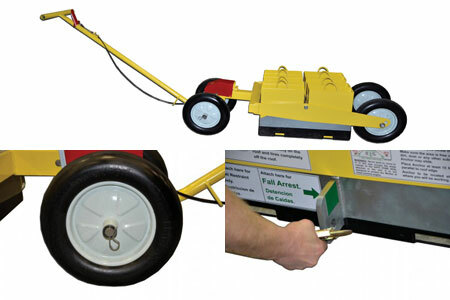 Galvanized weight pan with durable rubber bottom.